It is a good idea to be at the site even before the temples open. This gives you time to enjoy the atmosphere and take some shots of the temple walls in the red morning son. 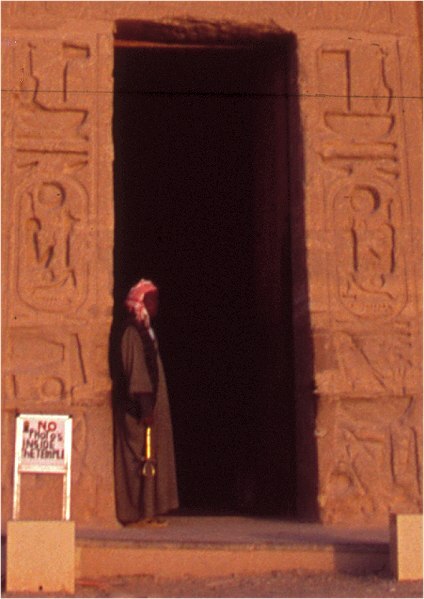 Eventually, the temple warden (here seen wielding a huge key in the form of an “anch” will unlock the door to the temple.